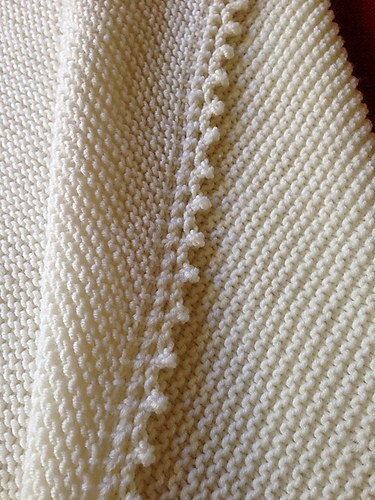 Simple and clean this lovely pattern with picot edging is quick to make and perfect for using any yarn. Including your stash yarn! A wonderfully sweet pattern, Cambria Blanket by Pam Mausar can be easily paired with a matching hat for creating a gorgeous knitting baby shower gift. 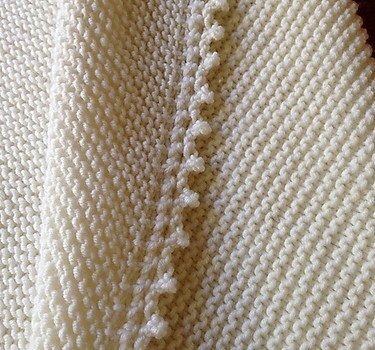 This knitted blanket pattern is simple, with a pretty border and has no holes for little fingers to get caught in, so this will certainly become a dear pattern for many. Thanks to Pam Mausar for the article inspiration and featured image.